The finely incised greenish-grey leaves of this species is quite unique and will get noticed in any garden. Very cold hardy but also does well in mild climates provided the soil is kept moist but well-drained. Divide overcrowded plants in Fall every few years to keep them vigorous and blooming prolifically. 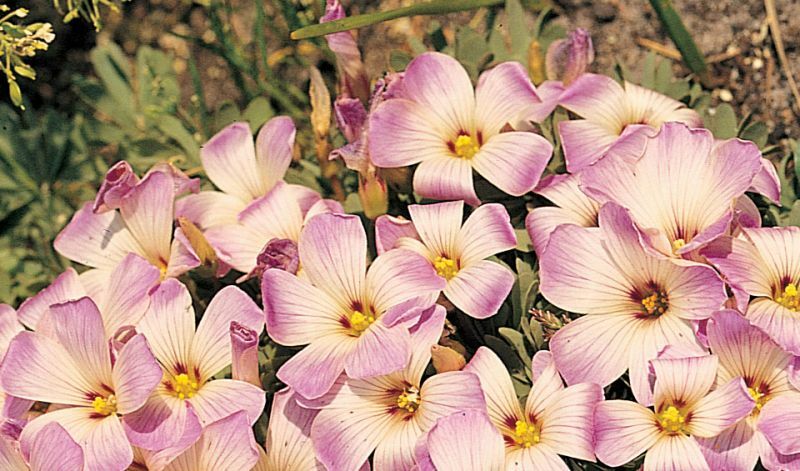 Oxalis is an enormous genus with the majority of the species (there are more than 800) coming from South Africa and South America (particularly the tropical areas of Brazil and Mexico).